Bring the fam & friends for fun and games! 1 TRASH CAN OF CANDY NEEDED BY TUESDAY, 10/30! 1 trash can is equivalent to 20 gallons, which is equivalent to lots of kids getting lots of candy, chocolate, smiles, and a fun time. We need 5 big trash cans (100 gallons!!) total for the event! 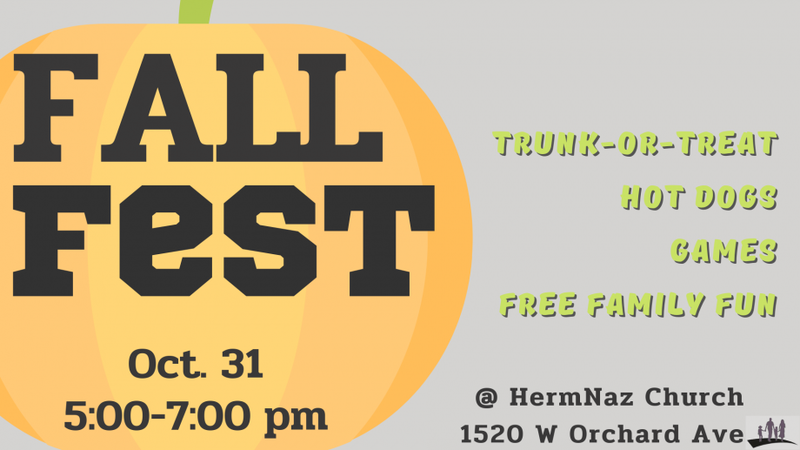 Want to do a Trunk for Trunk-Or-Treat? It's not too late. 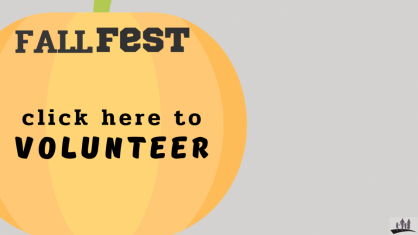 Click the Volunteer photo above or sign up on Sunday.